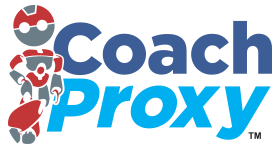 Each new CoachProxy device is warranted for a period of 1 year from date of purchase. Refurbished devices, when available, are warranted for 90 days from date of purchase. This warranty does not cover physical abuse or misuse of the CoachProxy device. If your CoachProxy becomes unusable, please contact us and we will work to get your unit operational again, or ship a replacement device or parts as we deem appropriate. Replacement parts and returned faulty items shipped during the warranty period will be sent free of charge. Replacement parts required outside of the initial one-year warranty will be charged at market price at the time of shipment and will incur shipping charges. To initiate a Warranty request, please use the Contact Us page.